Amelia is a woman who cannot catch a break. Aside from having to work at an old folks’ home(! ), the fact is that her son is a rather morbid little tyke. The child, Samuel, has a fear of monsters that not only keeps Amelia up at night, but also leads to an obsession and propensity with weapons. Even worse, the fact that his birth falls on the same date as his father’s death. His fear is only exacerbated when a half-finished picture book suddenly appears in their home and tells of a creature named The Babadook that will make little boys wish they were dead. Soon Samuel is seeing the Babadook everywhere, and his increased acting out (partnered with a lack of sleep) drives Amelia to the brink of madness. The plot structure should be familiar to anyone who’s seen a psychological horror movie in their life; things start out normal for our main characters, slowly things start pervading their routine which are just weird enough to be scary but not so much as to be unrealistic, and everyone is left questioning whether the threat is actually supernatural, mundane, or just nonexistent. Unfortunately this familiarity is something that works against this movie. The film does a great job of capturing Amelia’s slow descent into psychosis, but something that plagues every movie of this genre is that they are inherently predictable. This may just be a problem with me and a large reason for why I don’t watch most horror movies, but when over half the film is always spent questioning if the adversary is real or not it feels utterly futile. I understand that this isn’t the scripts fault, as it goes out if it’s way at points to remind you that both mother and son could just be too locked in their own heads, but the very nature of what type if movie this is makes that statistically unlikely. The horror movies I prefer are always the ones where the threat is established as tangible (to both the audience and the characters) early on, so that the screen time can be spent trying to combat it and thus feel worthwhile. Conversely, the whole conceit of this brand of “psychological horror” is that the movie takes it’s sweet time confirming what the audience knew to be true going into it. I might be overstating this a bit, as it doesn’t kill the movie (the question of what’s real and what’s madness at least makes for some effective frights) and I’m sure there are exceptions to the rule (Wes Craven’s ‘New Nightmare’ coming to mind). It’s still a pet peeve of mine. It’s not like a monster movie where the monster might be left offscreen for a long time, so that when it appears it has more impact. Here it’s more like the movie is trying to convince you that it’s not the type of film you thought it was and failing miserably. It’s tired and I don’t think it adds anything. Another issue I have is the film’s namesake. 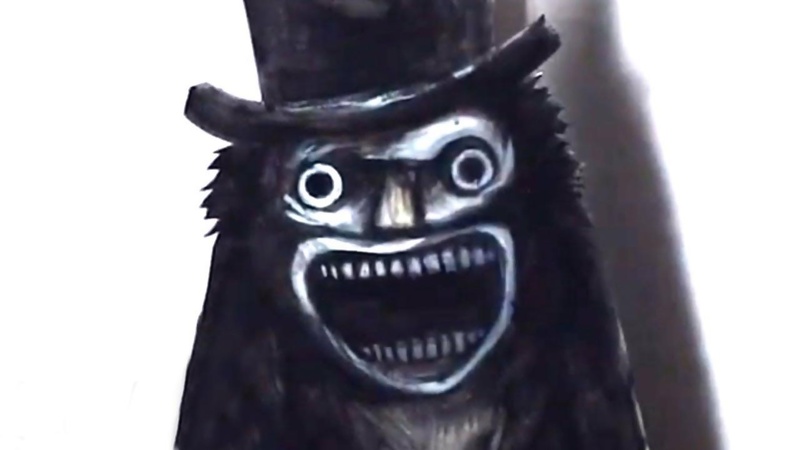 The Babadook’s nature is, perhaps expectedly, left unexplained throughout the entirety of the film. This may be something of a standard thanks to the ‘Nothing is Scarier‘ conceit. Honestly though, I find the lack of any explanation at all to be a letdown. Not having any clues whatsoever as to what the entity’s deal is feels more lazy than it probably should. As it stands it’s just a thing in a book that happened to find this family and just happens to operate in the exact way it does for no reason beyond “that’s what we needed to make this plot happen”. It’s a massive contrivance. And I know that it obviously serves as a metaphor of a certain nature, but when the driving force of the movie is just a metaphor it takes a lot of the bite out of what happens. Amelia is a pretty solid main character, and you definitely feel sympathy for her with every moment on screen. Essie Davis captures the feeling of someone whose just so completely haggard and yet won’t stop pushing forward until the bitter end. The dynamic between her and Samuel is very effective, and I like to think that the way Amelia views her son mirrors the way the audience does. For much of the film Amelia, isn’t quite sure whether to view Sam as a disturbed and creepy nuisance or a woefully misunderstood and ultimately good kid, and when she finally reaches a conclusion about him it feels gratifying. Noah Wiseman is a decent child actor but nothing great. He conveys the emotions he’s supposed to and when the film decides that it’s time for you to be I his side you go with it. Sadly, outside of the main two characters there’s little (if anything) to talk about. Barbara West plays the only other character with a hint of involvement in the main goings on, while Hayley McElhinney playing Amelia’s sister (and just another facet of the universe piling up on her). Daniel Henshall is Amelia’s co-worker who clearly has an interest in her, but he disappears halfway through the film and does so little that I’m honestly questioning why he was ever there. All three are underutilized but at least West’s character is likable. 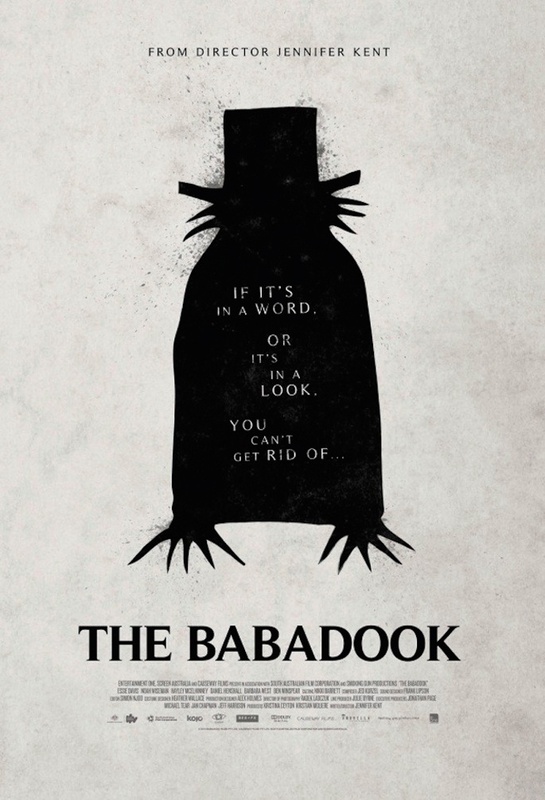 The Babadook itself, in keeping with what I said in the plot section, isn’t a character at all. It has no voice, no mannerisms and even at the tail end of the movie you don’t have a better sense of any aspect of it then you do at the start. I get that it’s not necessarily supposed to BE a character, but rather a concept. However, in a movie this sparse with personalities, I find it weird that they would bother personifying said concept if literally all we were gonna get on that from was a single image and several stock sound effects. The movie’s background music is eerie and unobtrusive like a horror movie’s should be, and the direction (while not always perfect) has some moments of inspiration. Such moments include the very first shot of the film, the trippy black and white sequence where the Babadook appears, and some other moments toward the end. The one time in the whole film that we ever get a clear (non-sepia-toned) look at the Babadook has it animated with stop motion and moving around the room almost like a bug, in what I admit is a pretty cool sequence. Had more experimental stuff like that been done to portray the creature throughout the film, I probably would’ve found it a more interesting presence. There’s just not a lot in this movie for me specifically. It gets points for being genuinely frightening without reliance on things like Jump Scares, but it’s unfortunately one of those films that I find has more and more problems the more I think about it. I appreciate what it tries to do, and the aspects I have a problem with might just be a result of me looking for something in this film that it was never meant to have. If the intent was to make the two main characters the only things of note or importance throughout the whole film, then the extraneous elements like other characters should have been taken out. If The Babadook itself was supposed to be the focus of the plot (beyond just being a metaphor) then at least SOME aspects of it should have been explained or at least addressed. As it stands, this one was good for a single viewing, but I don’t see myself being able to watch it again without these things taking me out of it. Posted on April 10, 2015, in Movie Reviews, Other Movies, Uncategorized. Bookmark the permalink. Leave a comment.